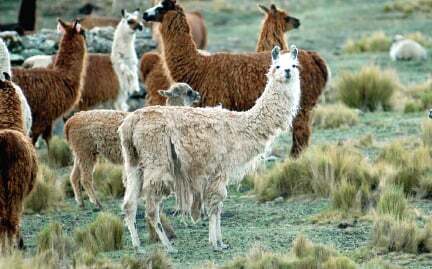 Llamas are South American cousins of camels, with both migratory and sedentary populations found across their range. A single male defends a group of females and their offspring from other males. They need very little water and are well adapted to their mountainous terrain.